A Closer Look Inspection Service has been in business for 36 years performing Structural / Mechanical Inspections on new and pre-owned homes and business. Jim Hemsell has been a HERS Rater for 9 years and is actively involved in energy inspection programs. 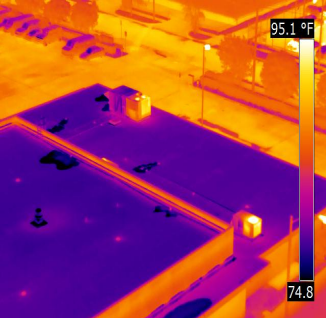 We have opened our Infrared division to service the DFW Infrared Thermography market for businesses and residences. Educational conference for home inspectors around the nation. Educational conference for Building Officials in Texas. Infrared Blockwall Surveys are performed to determine the location and consistency of grout and insulation cores in block walls. Moisture intrusion and brick bonding problems can also be determined in most instances. A Closer Look Inspection Service provides energy inspections for municipal building code requirements. Energy inspections are based on prescriptive requirements of the International Energy Efficiency Codes or performance compliance based on software that meets different municipal building requirements. A Closer Look Inspection Service has been performing energy audits and inspections for more than 30 years. They specialize in performing residential surveys to find energy loss in your home. Your Dallas Infrared specialist for performing home IR inspections.